Steven Butala: … look back at what’s happened and probably not settle it at all. Before we get into it, let’s take a question posted by one of our members on LandInvestors.com online community, it’s free. Steven Butala: I’ll try to be … this is not typically … well, I’ll try to answer these questions directly. The reason that you form an LLC is for legal reasons but there’s tax implications too and then there’s, let’s call them, secrecy issues on top of it. Let’s tackle them one by one. Number one, an LLC in any state is going to serve the legal function for you so that is to say if a real estate deal goes bad and the property’s in the name of the LLC, the person who is upset about whatever on either side of the transaction sues the LLC, they don’t sue you personally as the owner of the property. That’s good and it doesn’t matter what state that’s in. Number two, tax reasons. The tax implications of where you form an LLC generally don’t matter. It’s where you live that you have to file a state tax return and if you’ve got it structured the way that Jill and I do, it all rolls up into one anyway. So, where you live and where your offices are and all that, that’s where you generally … in general, these are all general … don’t take my word for it, this is just my opinion. Then, the third reason is, and that’s where this state to state to state issue consistently comes up is why … can someone track me down if I own an LLC? If I own Large Land Business in Nevada, it’s a lot harder to find the fact that Steve Butala owns that LLC in Nevada and in Delaware. There are state laws that govern who … what’s public information and what’s not. In Arizona, it’s a 10 second Google search to find out who owns what. Jill and I we don’t hide. All of our LLCs are in Arizona, with exception of a couple so that’s what this LLC business is all about. That’s said, Jill’s going to agree with me here, we’ve already spent too much time on this topic in my opinion. I don’t mean to pick on the person that asked the question, just get one done. If you are going to get into this business and it sounds like you are, you’re going to have many, many LLCs. Jill and I file for them all the time. You don’t have to make this one perfect. Go get an Arizona LLC, here’s my direct recommendation, go get an Arizona LLC on the internet and if it takes you 15 minutes, something’s really wrong. You’ll get all the paperwork back, sign the stuff, you now have an LLC that you put property in and your done. Check. Next, get a phone number. Check. Next, all the stuff to get … we talk about this in 2.0. Steven Butala: Takes maybe 15, not 15 minutes. Maybe two hours on a weekday to get every single thing done to get you started. So, it’s a good question and it comes up a lot, but hopefully I answered it directly. Jill DeWit: Mm-hmm (affirmative). I think you did. Steven Butala: Do you have anything? Steven Butala: Good for you, how lucky are you? You get the next question tomorrow. Steven Butala: Today’s topic, are the holidays good or bad for the real estate business? This is the meat of the show. What does this mean to you, Jill? ‘Cause I know you and I have differing opinions on this. Steven Butala: Well, because my roots are in commercial real estate. Jill DeWit: Does it shut down or do people shut it down? Steven Butala: Professional people generally stop working at around December 15th and start working again around January 5th. Jill DeWit: Do you do that? Jill DeWit: But you’re a professional. Steven Butala: Well, I also own my own company and have a bunch of people working for me. Jill DeWit: I know, that’s what I’m saying. Steven Butala: I mean people who have vice president jobs who work for someone else, executive level positions. They’re just done. Jill DeWit: Right. I don’t want to get into an argument on the air but this is what I’m saying, I’m not working with them. I’m dealing with buyers and sellers and the people I’m dealing with, they have a lot of time off between the holidays. Maybe that’s why I feel the way I do, ’cause you know what? There are people trolling our website on December 26th because presents are all done and the family’s driving them nuts and they’re looking for properties or something. They’re online and they’re actually checking out buying stuff in December. Steven Butala: All right. You can’t argue with that. Jill DeWit: Well, it’s funny, I remember my mom even at way back when real estate days, she would say too that was … you could write an offer on Christmas Eve. Things like that do happen. It’s not crazy. When I think about it, maybe it is slower and maybe there’s less people but for those of us who show up, fine, I’m going to get those sales. Steven Butala: I think for the Land Academy business, our Land Academy business, I think that December’s usually a good month. I think for land sales, I think it’s historically slightly down. I guess to answer the question, are holidays good or bad for the real estate business? I think it depends on what you’re doing. If you’re buying info lots, and selling them to a builder, which is what we’ve been doing lately, I’m not so sure this is the best time to do that. Steven Butala: If you’re buying and selling or leasing office space, I can tell you from experience in any commercial capacity, if you’re acquisitions for apartment buildings or any of that, it almost is a dead stop or dead slow. Jill DeWit: That’s fair. Right. 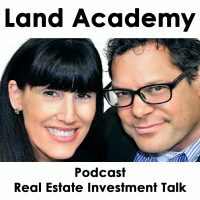 Steven Butala: The education business, the Land Academy part, it’s good. Jill DeWit: Mm-hmm (affirmative). Thank you. How about just buying and selling land? Steven Butala: I think it’s a great time to buy land, but I think sales are slower. That’s just my opinion. Jill DeWit: Got it. Either way, still it’s worth showing up, isn’t it? Steven Butala: I think it’s a great time to catch up on … what I do at the end of the year, I’m into it right now, I think it’s December 24 today, is just planning. I take the down time to plan where I want to be in December in 2019. Steven Butala: Schedule it all out. Scheduling. Steven Butala: That’s actually another show this week, I think. Jill DeWit: What about the chances of finding another home run by the end of the year because someone needs to get some property out of their life by the end of the year? Steven Butala: You know what I’ve noticed over the years, I’m glad you bring that up, there used to be just this mad rush at the end of December for tax planning purposes to do stuff. I just don’t see people running around like that anymore. Steven Butala: Maybe I travel in different circles? I don’t know. Steven Butala: From a seller? Steven Butala: Yeah, I guess you know I understand your point. We’re both … you come from a sales background, I come from an accounting background and those are both very fiscal, decisions are made based on the 29th of the month kind of thing. Steven Butala: So, I guess it’s all what you make of it. Jill DeWit: Mm-hmm (affirmative). So, we didn’t really answer the question at all, did we? Steven Butala: Well, I think we surely did. If you lease office space and that’s your thing, it’s dead slow. Steven Butala: If you buy apartment buildings, dead slow. Jill DeWit: Right. How about houses? What do you think about that in general? I think honestly, I think if I was a general real estate agent buying and selling houses, I would venture to guess that the holidays, maybe not the right time but people are moving at that time. Seems like summer time or when the kids are … I think of school kids school schedules. People have time off to look at stuff around the holidays. Steven Butala: That’s the thing. Researching and buying and selling houses is my hobby. It’s a sport for me the way that going to a movie is. Steven Butala: Christmas day is the biggest movie going day ever in the whole season, isn’t it? Christmas or thanksgiving? Jill DeWit: Something like that, yeah. Steven Butala: When I have down time, I’m constantly looking for new markets to send mail in. But that’s me. Like we just said, it’s what you make it. I think the regular consumer probably thinks that moving and buying a house is a huge chore. Steven Butala: It’s not something that they want to do on their day off. Steven Butala: So, I don’t know. I should research this. Our sales numbers have not … I looked back on it, our land sales numbers have not materially been different in December. In fact, our lowest sales numbers are in the deep summer. Steven Butala: Yeah, July and August. Jill DeWit: … are rough months for us in a lot of areas of our business. People are just not thinking about work, they’re just having fun. Jill DeWit: It’s interesting. I think maybe that’s part of it in December, people don’t usually have months off at a time. They only have days or weeks off. Jill DeWit: It’s not as much time. Steven Butala: So, I guess what we’re both saying is, and for the group of people that listen to this show regularly, don’t stop. Steven Butala: … because in the beginning of January, everybody’s planning and thinking about stuff and they want to get rid of that property at that point. Jill DeWit: Making some big changes. Jill DeWit: Maybe they’re going to buy their retirement property or whatever in January. Jill DeWit: They want to move. Steven Butala: … they want to sell all their stuff. Jill DeWit: They want to really go off the grid. They want to hide from their family now. Steven Butala: Well, you’ve done it again, spent another- go ahead. Steven Butala: You’ve spent another 15 minutes or so listening to the Land Academy show. Join us next time for this topic. You must be dedicated if you’re listening on Christmas day. 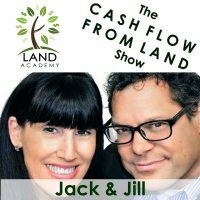 Jill DeWit: We answer your question posted on our online community, LandInvestors.com, it’s free. Jill DeWit: What I was going to say is one thing I’ve learned here is just to never assume. Jill DeWit: That’s really the point to make here over the holidays. If you think you can just close up shop, nothing’s going to happen, turn off your phone and go to voicemail, you might miss something good. Never assume that nothing good’s going to come of it. Just still be available and around and in your business. Steven Butala: … on yeah, just recently. Steven Butala: You had him on your, I want to say, is it on YouTube yet? Jill DeWit: Yeah, it’s on YouTube by now, yes, it’s on YouTube now. Steven Butala: You had some … people typed in questions and what the underlying theme was, what is it? ‘Cause you’re obviously killing it. He’s making 100000 dollars … not average, but he has made in his [crosstalk]. Jill DeWit: On a transaction. Steven Butala: I get up at 5:00 in the morning until it just happened. Steven Butala: Did you hear anything else? What do you think was so … I wonder what he’s doing this holiday season, is he sitting around? I doubt it. Jill DeWit: Last I heard he was renting a house somewhere and going to be on a balmy beach relaxing and still working on his business, but from a very great location since he doesn’t have to show up anywhere anymore. Jill DeWit: I had spent some time on it, I figured it out. We all agree too, and it’s still a process ’cause once you figure out one county, now you’re in another county and there’s some nuances there. So, you’re always learning and tweaking but he also said too, he’s finally got himself in a position where he can now do the stuff he’s good at and he’s really enjoying that. He’s building a little team. Steven Butala: Man, I know that feeling. Steven Butala: Man, once you get over that hump where you don’t have to do the deed yourself and some other that just have one assistant, I remember that first assistant that I hired. It was a life altering two weeks where all the stuff that I was doing I could just hand to her and tell her how to do it and it was just the greatest thing ever. This was back in, geez, 1999 probably. Jill DeWit: That’s good. Hey, thank you for watching and listening and please wherever you are, please rate us there and be sure and post your questions on our online community at LandInvestors.com, it’s free.